A yellow rose signifies joy, gladness, happiness and mainly friendship. It also symbolizes fun and freedom. 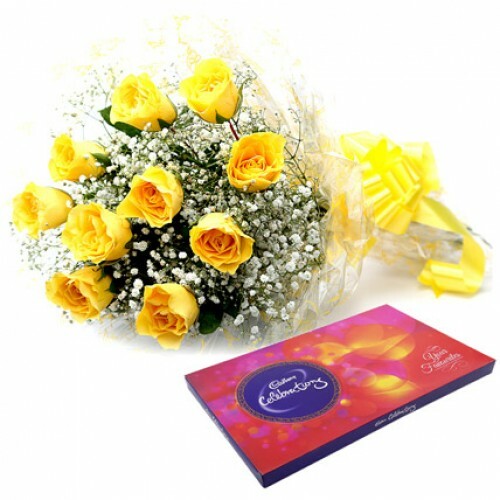 Celebrate the individuality and fun of your relationship by endowing your beloved this exclusive bunch of 12 beautiful yellow roses with fresh green leaves. Add sweetness in your celebrations with 218 grams of big Cadbury Celebrations chocolate pack.